If you have a recreation vehicle, you need RV insurance. Your RV is both your transportation and your temporary home. If you do not have proper insurance coverage, you are putting your property and your finances at risk. Does USAA Have Personal Computer Loss Coverage? An RV insurance policy is similar to an auto policy, but it provides much more protection, which only makes sense. After all, your recreational vehicle is more than just a car. Most RVs serve as a home away from home, which means there are things in an RV that wouldn't be in a car, such as clothing, jewelry, camping, or travel gear, TVs, VCRs, etc. Other considerations must also be taken into account when purchasing RV coverage. For example, when you park an RV at a campsite, you may be responsible for the area surrounding your vehicle. If someone is injured, you could be liable. This makes insuring your recreational vehicle under its own specific policy extremely important; many of these things may not be covered under a standard auto policy. Market Value - Pays the market value of your RV at the time of the loss. Agreed Value - Pays the value selected at the start of your policy, regardless of the RV's current market value. Total Loss Replacement - Pays for an RV replacement if your RV is a total loss. In most cases, your RV must be five years or newer. When purchasing coverage, you may also want to consider asking about the companion auto coverage that is usually available with most RV policies. The companion coverage can be written specifically for the automobile that you will be towing with your RV. 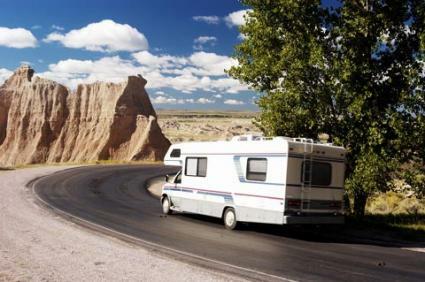 The cost of an RV insurance policy can vary depending on the type of vehicle you have, the state you live in, the value of the vehicle, and other factors, such as how often the vehicle is used. The size of your deductible may also play a role. The higher you set your deductible, the lower your premium will be. Keep in mind, however, that should an incident occur, you will be responsible for paying the deductible no matter how high it is. Establishing a deductible that you can afford may be one of the most important aspects of obtaining coverage. Recreational vehicles are major investments and a dream come true for many people. These vehicles offer the freedom to get away from it all and explore the country. But, with the freedom comes responsibility. Protecting yourself and your investment with specialized RV insurance is part of that responsibility. If an accident occurs, this coverage will save you a great deal or money and heartache.